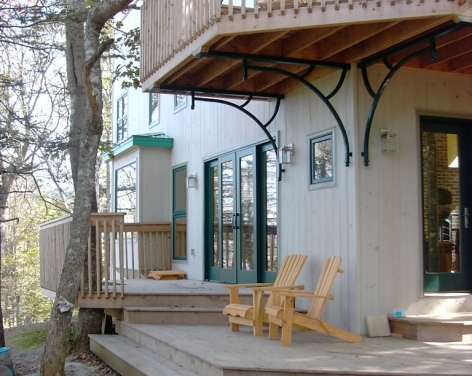 Island Retreat was built on a private island shaped by the great bay of Fundy tides. The project was intended as an off-grid retreat space for visiting groups. The design is a compact loft style with exterior window oriented for passive solar and unique views from each rooms. Tiered decks and large patio doors extend the living spaces outdoors. consideration was given to providing a variety of gathering and private away spaces within a compact footprint. Angled lofts and a class bridge give create light and dynamic interior space reminiscent of a tree house. 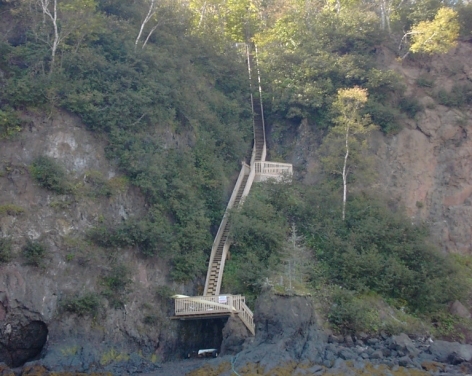 Access to the island for construction was extremely challenging with supplies being brought in by helicopter or craned up the cliff face from a barge at high tide.